Aquaponics is plants and fish working together in a synergistic and sustainable system to provide a healthy source of food. Sounds great right? If you’re still unfamiliar with the concept of aquaponic gardening and you want to learn, this short video guide by Mashable breaks it down nicely. 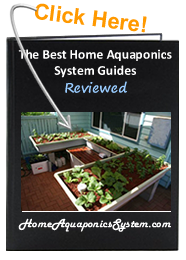 The host explains what aquaponics is, how it works, what fish they use, what plants they grow and the benefits of running an aquaponics system. 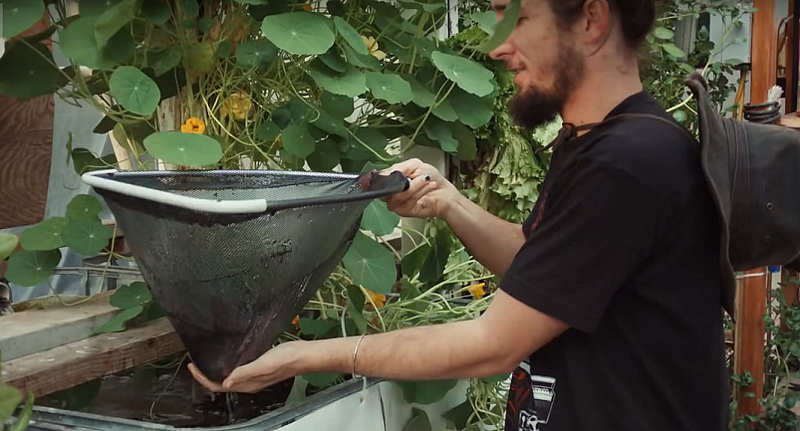 The host explains how water is used more efficiently in an aquaponics system compared to traditional gardening. 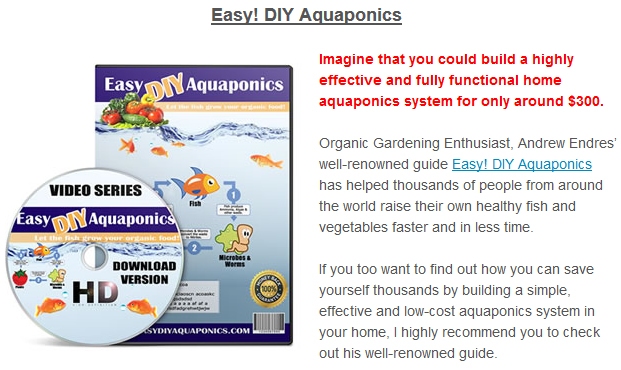 “Even though we’re surrounded by water, aquaponics is 95% more efficient with its water than traditional gardening. If you pour water onto your plants, only about 2 to 5% makes it into that plant. But here in the aquaponics setup, the water flows back and forth, and while we do get evaporation, it’s nothing close to the evaporation you get in soil”. This is only made possible because of how an aquaponics system functions. To put it simply, fish produce nutrients in the water that the plants proceed to absorb, and in return, the plant roots filter the water back down to the fish and the cycle continues. 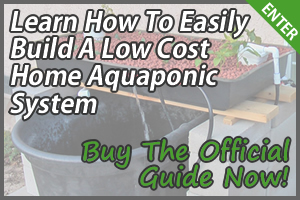 Anyone who decides to set up a home aquaponics system will have to bear in mind the on going costs of running the system. One of the biggest costs will be electricity, so it’s important to choose an energy efficient grow light if you’re growing indoors and also a good water pump. With that being said, aquaponic farming is still very cost effective. If you don’t know much about raising fish or growing plants, it’s quite easy to assume that they can live fine in normal tap water. However, that’s not the case. Fish and plants are crucial to an aquaponics system so making sure they are properly taken care of – from having the correct water temperature, ammonia levels, stocking density and so forth – are necessary maintenance issues. 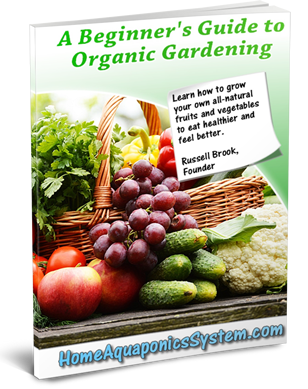 One of the biggest reasons why so many people have turned to growing their own food via their own aquaponics system is control over what they’re eating. They know that the food produced in an aquaponics system doesn’t contain all the chemicals that are prevalent in fruits and vegetables sold in supermarkets. You may be thinking how on earth are you supposed to get rid of insects that are harmful to the plants. The answer is by releasing other insects that are not harmful but will do a good job at eating those that are. This is all explained in the video, as is so much other information jam packed into a little over 4 minutes.